Independent file photo Minneota’s Lydia Sussner connects on a kill during their Section 3A Championship match against Adrian on Saturday. MINNEOTA – Lydia Sussner has been an integral part to Minneota’s success on the volleyball court the last four years. 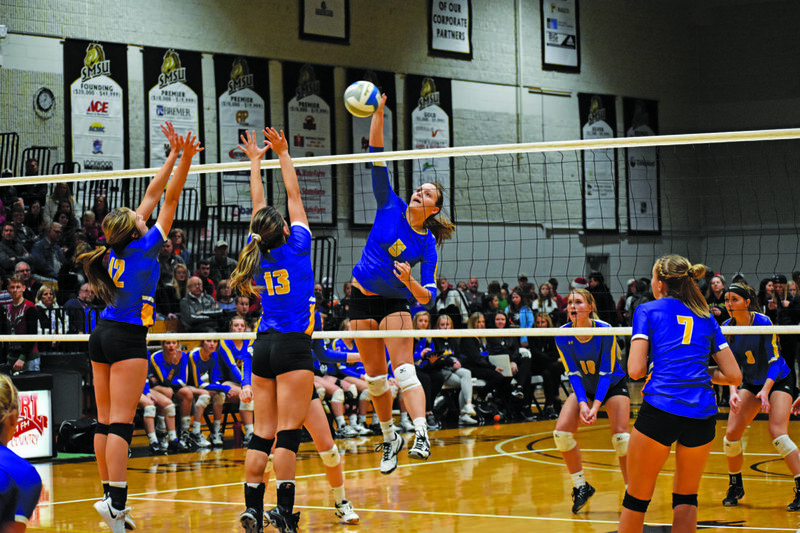 The Minneota middle hitter has amassed 1,764 kills and 241 blocks during her career for the Vikings and has earned Camden All-Conference honors three times and MNVBCA All-State honors twice. 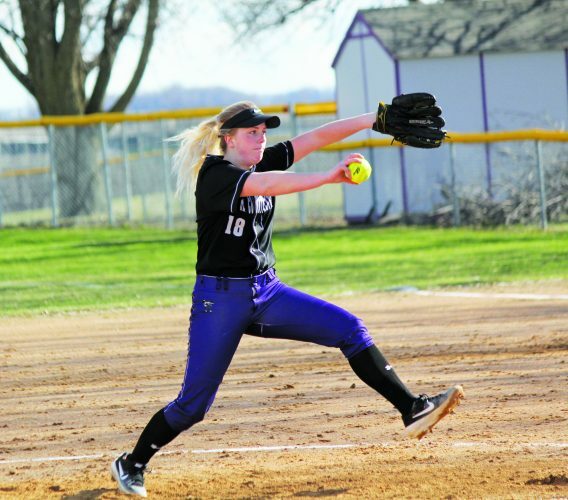 She was named the Camden Conference MVP this season and helped lead her team to a runner-up finish at the Class A Tournament in 2017. This season, Sussner has continued to guide Minneota to another stellar year, as the Vikings hold a 33-1 record and recently earned the No. 1 seed at the state tournament. 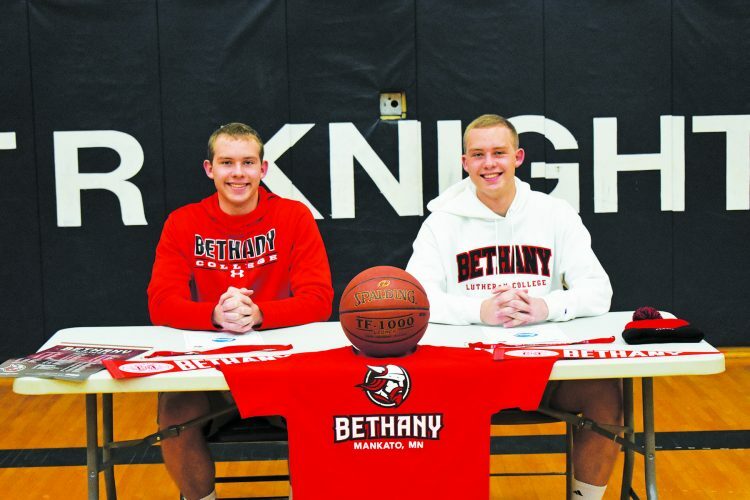 Sussner also recently committed to play at Southwest Minnesota State University. For her performance during her senior season, Sussner has also been recognized as one of the five finalists for the Ms. Baden Volleyball Award. Sussner added that this season has been pretty special with how they’ve come together after last year’s finish at the state tournament and felt they’ve handled the daily grind of the season well. Minneota coach Hayley Fruin said Sussner is very deserving and that her hard work has paid off during the season. Ashburn has amassed 290 kills, 74 blocks, 179 service aces, 730 digs as well as 3,678 set assists during her career at Champlin Park. The University of Wisconsin commit has also earned Northwest Suburban All-Conference honors four times and been named to the MNVBCA All-State first team twice. Juhnke has recorded 1,489 kills, 101 assists, 152 blocks, 139 aces and 1,046 digs during her career at Lakeville North. The University of South Dakota commit has also earned South Suburban All-Conference honors three times and been named to the All-Metro first team twice, including an All-Metro Player of the Year finalist. Kilkelly has recorded 1,393 kills, 446 assists, 183 blocks, 153 aces and 1,355 digs during her career at Shakopee. The University of Minnesota commit has also earned South Suburban All-Conference honors four times and earned MNVBCA All-State honors twice. Suess has recorded 1,813 kills, 49 assists, 391 blocks, 137 aces and 644 digs during her career at Kasson-Mantorville. The Wake Forest University commit has also earned Hiawatha Valley League All-Conference honors five times and is the program’s all-time leader in kills and blocks. The winner will be announced on Wednesday at the state tournament banquet in St. Paul.